Are you in the Holmen area, looking for excellent auto mechanics to service your GM/GMC vehicle? Then Cordell’s Automotive is the place for you, whether you need basic auto repair services, new tires, or ongoing maintenance. Our auto repair specialists will take care of all your service needs. The GM/GMC brand includes so many different vehicles now that it’s difficult to keep track. Chevrolet, Buick, and Cadillac now fall under the GM/GMC umbrella, and then there’s also the GM/GMC cars, trucks, and other vehicles. 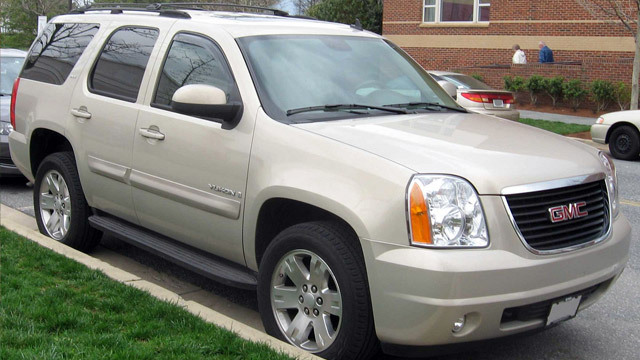 Whether you drive a Yukon, Terrain, or Sierra, the technicians at Cordell’s Automotive have your back. Drivers in Holmen rely upon Cordell’s Automotive for all sorts of services. Why trust Cordell’s Automotive for your GM/GMC vehicle servicing? Our core values include honesty, integrity, continuous improvement, and personal excellence. We’re proud to be part of the Holmen community. Our 3-year/36,000-mile warranty has you covered if the unthinkable should happen. And if something happens to your GM/GMC and you need extensive repairs, we offer six-month, no-interest financing. For small services like an oil change, you can wait in our comfy waiting room and enjoy our Keurig coffee maker. But you might prefer to a free loaner for extended repairs or local pickup and delivery for your convenience. We’d love to work on your GM/GMC vehicle. Schedule an appointment today. Cordell’s Automotive is located at 300 South Holmen Drive, Holmen, WI, 54636. Our hours are 7:00 AM - 5:30 PM, Monday - Friday. We also service the communities of La Crosse, Onalaska, and Trempealeau.